달력을 받고 싶은 분들은 먼저 신청해주세요..
응원을 아끼지 않은 전세계 친구들 정말 감사합니다. We are glad to announce that Happy Jungshin is going to produce 2018 Calendar. 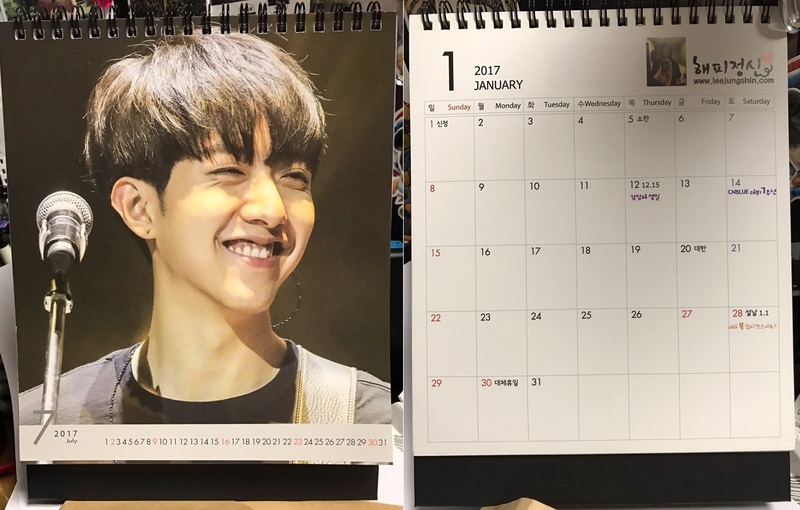 We hope this desk calendar could give you the happiness throughout the whole year of 2017 while looking at Jungshin’s nice photos. For those who would like to buy this calendar, please don't hesitate to apply for pre-order. The price is about KRW7000 per calendar. (The actual price will vary due to the production quantity. with e-mail subject “2017 Calendar Pre-order”. * This is only a pre-order. Actual order application will start after announcement of actual price of calendar. Thank you fans from all over the world for your continuous support to Jungshin in 2016. This calendar will be offered at original cost price. Any revenue will be used for the next supporting event.